A Bemidji State University professor is beginning a three-year project to examine race relations in the Bemidji region with support from a $200,000 Bush Foundation grant. Bemidji counts Minnesota’s three largest native nations — the Red Lake Band of Chippewa, the Leech Lake Band of Ojibwe and the White Earth Nation — among its neighbors, and U.S. Census Bureau data shows that more than 21 percent of Beltrami County’s 46,500 residents — and 12 percent of Bemidji’s 15,000 residents — identify as American Indian. 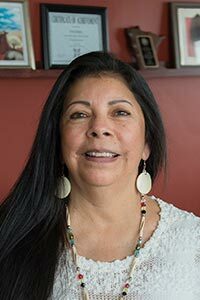 Dr. Vivian Delgado, currently an interim assistant dean in BSU’s College of Arts and Sciences who will be returning to the faculty this fall an assistant professor of indigenous studies, says while American Indians make up a significant portion of the Bemidji region’s population, they are disproportionately represented when examining factors such as poverty and suicide. Delgado says the team will spend this fall undertaking extensive training with national experts on historical and intergenerational trauma, restorative justice and mindful inquiry, among other topics. She says the training will help the team understand its own preconceived notions regarding racial issues in the region. And, she says, the training is necessary to properly equip members of the team with the tools they’ll need to confront the issues they’re likely to encounter when meeting with members of the community. Following the training period, in the spring of 2019, Delgado says the Gwekendam Team will begin meeting with members of the community for roundtable discussions. The grant calls for the team to hold three discussions using mediator-guided protocols during the first year of its work, with additional roundtable discussions to follow in the second and third years. Delgado says that other community organizations are doing good work to address racial disparities in Bemidji, and she hopes her team’s work can help to elevate those initiatives. The Bush Foundation was founded in 1953 by 3M executive Archibald Bush and his wife, Edyth. The foundation, based in St. Paul, Minn., exists to “invest in great ideas and the people who power them,” inspired by the Bushes’ desire to build their community and encourage innovation. Serving Minnesota, North and South Dakota and 23 native nations, the foundation has invested nearly one billion dollars in grants to thousands of organizations and individuals. United States Census Bureau: Bemidji, Minn.